Hi! My name is Carmen, and this is my guest post for the “Your SFG” program that Emily started. 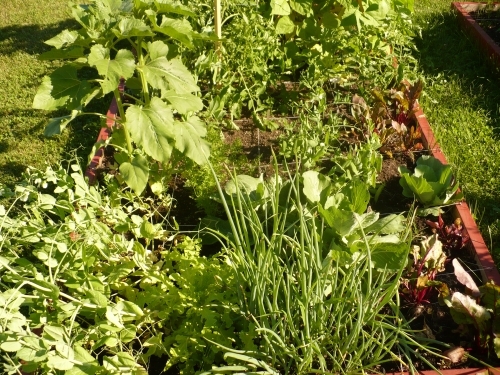 This is our first year attempting a square foot garden – in fact we haven’t done any gardening at all for a long time. I read as much as possibly on the subject (especially this blog! ), and spent weeks planning and reformulating the layout for the garden. My husband build two 4×8′ sections out of lumber and we painted it the same color as our chicken coop (also new this year). Due to a very early spring in Wisconsin, I was able to start planting in mid-April. We laid down cardboard and covered it with layers of peat, compost and black soil. So far, our garden is looking great! We also tried three-sisters gardening at the same time to see how that worked. On the left we have corn mixed with 4 sections of beans and 4 of peas. The peas have really shot up; the beans in these sections are growing, but not as fast as I’d hoped. Underneath we’ll have butternut squash. The back two sections had radishes – already picked. The other two empty sections contained spinach. Unfortunately we had a brief hot spell very early and it bolted. So I dug it up and started over. In the other half of this gardening bed, we have: basil, carrots, bush peas, Roma and Best Boy tomatoes, bell peppers, marigolds, and onions. 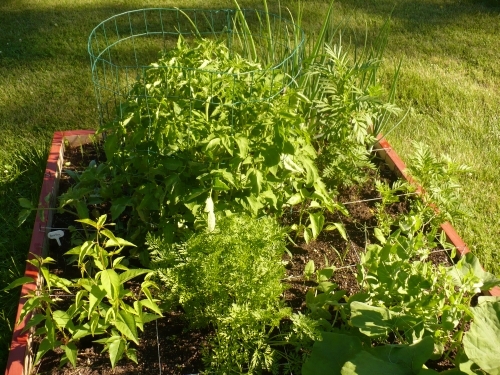 I had a section where I tried to grow fennel; after two plantings with nothing to show for it, I planted more carrots. In the second bed, I tried a different variation on the three-sisters – this time using sunflowers and peas. Unfortunately, rabbits ate the tops off two of my sunflowers (and nothing else!) so the peas are going to need some additional support. The lettuce only has done so-so and is currently partially covered up by cabbage leaves. I had so much cabbage show up, that I dug up several plants and gave them to my neighbor. There is also cantaloupe, “Endless Summer” tomato, more bush peas, scallions and beets. And finally, we have some pole beans – these look much better than the ones growing in the corn. There’s another section for butternut squash, leeks, Big Boy and Striped Roman tomatoes, Swiss chard, Brussels sprouts and hot peppers. The hot peppers aren’t as big as I’d hoped – I think they might be shaded too much by the beans. We’ve already harvested quite a bit of the Swiss Chard – it’s the only type of greens that seems to do well for us. So what do I think so far? I love square foot gardening! It’s so easy to reach in and do my weeding. I’ve learned that lettuce and spinach can be tough crops to grow. And that next year I may to to trellis my whole garden! At this point I’m more worried that we may be getting too much rain and not enough sun, but the garden seems happy, and I’ll take the free waterings while we can get them! Carmen, your garden looks great! 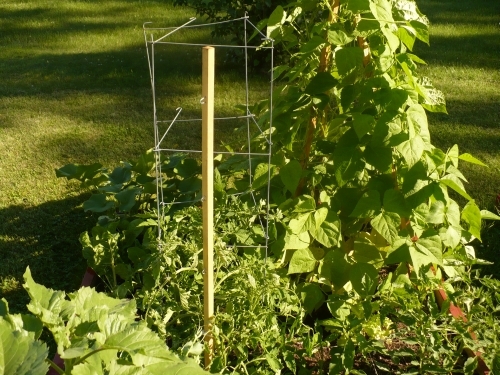 Do you have any kind of fencing around your garden area, or are the raised boxes just sitting somewhere in your backyard? 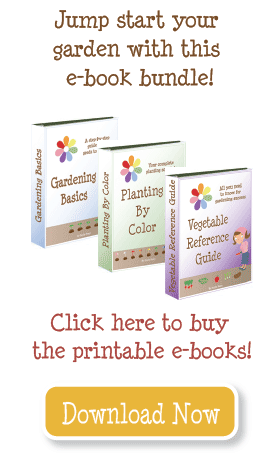 My boyfriend and I also just started with square foot gardening (and also blogging!) this year. I think we may have even planted the same weekend you did – maybe we can be garden twins! 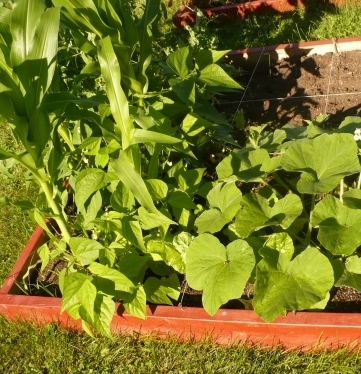 🙂 We had our boxes on the ground just like yours, until I discovered that the wild bunnies in our area were munching on all my greens, peas and beans. I really like the variety of selection in both your boxes! I don’t have an exact date written down, but I believe I planted the second weekend in May (8-9)? great info, thank you! what was your starting date?